Remember the Lemmings commercial? How about when Windows ME came out? Do you remember Steve Jackson games was raided, and their BBS taken down? These are all part of our history. The bad part of history. We want to remember the good times, like when the iPod was introduced, when we got Pi to the one millionth decimal place. When IBM Watson went toe to toe with Jeopardy champions. Today, we look at those moments in Tech History that were immortally the worst parts of our timeline. These are events where technology was directly responsible for the event. I have put them in a reverse order. When you thought your files were safe, along comes a company that can ruin your trust. MegaUpload was a file hosting service, where you would pay for your own personal cloud. MegaVideo, MegaPix, MegaLive, MegaBox, and MegaPorn were all child sites to MegaUpload. With over 180 thousands members, and 82 million unique viewers, MegaUpload had 25 petabytes to hold music, video, pictures and more. MegaUpload also had three pieces of software – Mega Manager, Megakey, and Filebox. 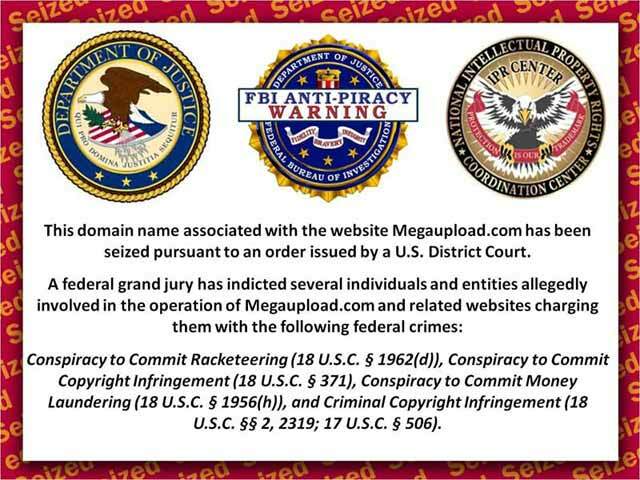 The US Department of Justice seized, then shut down MegaUpload on January 19, 2012. The next day, MegaUpload’s company’s assets were frozen ($300 million Hong Kong dollars). The indictment pointed to the site’s illegal activities. All files on MegaUpload have been frozen – and in some cases – deleted from servers. An Ohio man is fighting to get his data back. Technically, this e-mail spam was not the first. This was called Newsgroup spam. Nonetheless, it would start a lucrative business for some, as senders of spam, and as defenders of spam. Moments later, Major Raymond Czahor posted a reply to the message saying it was a “Flagrant Violation” of use to the ARPAnet. Of course, that moment was bound to happen. If not in 1978, then down the road. Nowadays, Spam averages for 78% of all messages sent. Using Botnets, and other automated efforts to collect addresses, then send in bulk, we can see everything ranging from emails of jibberish (to the script kiddies out there), to phishing schemes of pharmaceutics, and banking needs. 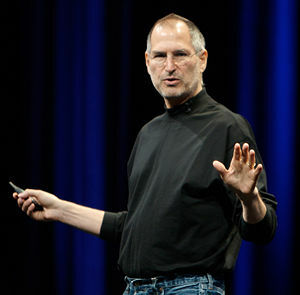 Whether you liked him or hated him, Steve Jobs was probably the most influential technology figure of our time. He knew his time was short back in 1999, when he came back to Apple. Instead of waiting for death to knock on his door, he did his best work; putting out the iPod, iPhone and iPad. He steered Apple into a new direction, and vaulted the company to what it is today. So we acknowledge his passing as a very important, and 8th worst event in Tech History. Luckily, we did not have any major problems with this event. We caught this issue well in advance to put out a full compliance plan. But it was a time of uncertainty. The mainstream public knew about Y2k, and even though they didn’t have a full grasp on it, they knew it could shut their lights off at midnight on 2000. Believe it or not, this event cost a lot of money, a lot of jobs, and – for some that had their ideas bought out by Yahoo – their lives seen sitting on a shelf. It was the talk of 2008: Steve Ballmer was adamant about taking over this company, Jerry Yang was not going to sell, and Karl iCahn was the fly in Yahoo’s proverbial ointment. The Yahoo bid started on February 5th, 2008, and technically ended on June 12 (although the official date was August 1, when the Yahoo board met). Interesting note: This was not Microsoft’s first bid of Yahoo. They tried to buy the company a few years prior. That instance did not have the mainstream impact that this bid did. In looking at tech history, there is a noticeable timeline of Microsoft actually gearing up to this bid the year before. Out of all the virus out there, this one caused mass panic, as corporations went down for the day. Some from the virus, others from the fear of the bug hitting their systems. I remember the day this hit – I was working for the Dept. of Revenue. We shut off our internet connection to the outside world to keep the virus out. March 26, 1999, what started on a usenet group moved to email, using Microsoft Word 97, and 2000. It had a property to email itself from Outlook to everyone in the contact list. It was called the “Fastest spreading macro-virus”. 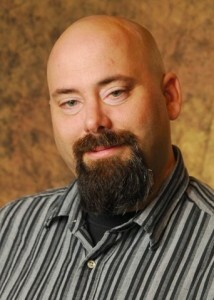 David Smith wrote the code that took corporations down, and was sentenced to 20 months in jail, and a $5000 fine. July 15, 1945 – The first nuclear bomb was tested. Codenamed “Mike”, this bomb was detonated at the Trinity site, and was as powerful as a 20 Kiloton bomb. Of course, we only used a nuclear bomb once, that being the bombings of Hiroshima and Nagasaki. In 1917, Arthur Zimmerman (Germany’s Foreign Secretary) sent a telegram to Mexico, encouraging them to join the Germans in war. They would, in return, finance the Mexican entry into war so they could recover Texas, New Mexico and Arizona. The British intercepted the telegram, which they promptly sent to the US. Up until this point, President Woodrow Wilson pursued a policy of non-intervention. However, with this news, the US had no choice but to enter into World War I. The Zimmerman Telegram was the invitation to Mexico in the German fight. Of course, this telegram was coded. The British decoding unit – known as “Room 40” – decoded the message. Of course, on April 6th, 1917, the US declared war on Germany. Do you remember where you were when the Challenger exploded? Interestingly enough, I was sitting in the wood shop. It was the only other place where there was an Apple II computer, and I was playing Ultima IV. January 28th, 1986 – the Challenger, who’s most noted astronaut and school teacher of the trip – Christa McAuliffe – took off from Cape Canaveral on mission STS-51-L.
An O-ring in the rocket booster failed, causing the booster to ignite. The shuttle then disintegrated over the Atlantic ocean. Seven astronauts were killed on that mission, and grounded the US space race for 32 months. The rocket booster was re-designed at that point to make sure an O-ring failure didn’t happen again. However, it set the US space race back 2 1/2 years, and took the lives of seven heroes. The internet was booming. Just like a gold rush, people were putting together business models on the electronic superhighway. From 1995 to 2000, this bubble was fueling many – looking to be the next multi-million dollar idea. However, the “Dot-Coms” that had inflated stock prices suddenly ran out of their capital, and stocks came crashing down. By 2001, companies like Pets.com filed for bankruptcy. 371 publicly traded companies (valued at 1.3 trillion) lost their momentum, and most of them came crashing down. There were some survivors – Amazon, Yahoo, eBay, and Travelocity, among few others. But it was a minority to the sites like eToys.com, Kozmo.com, Webvan.com, Flooz.com, and more. One company – Sun Microsystems – was hit hard in another way. They supplied a lot of the businesses with the servers to control their dot-coms. When the companies went bankrupt, Sun found themselves with too much returned inventory. After 2001, Sun would struggle to make it back in, ultimately being sold to Oracle in 2009. There are many events that turned tech history. Recent news, such as Anonymous and the take down of the Playstation network for almost 2 months. Long-lasting tech kurfuffles, like the SCO Group, and their lawsuit over UNIX System V source code. 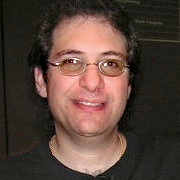 Hacking incidents, such as the Legion of Doom, and Kevin Mitnick – who was arrested in 1995 for gaining access to interstation computer network. We also saw bank height in 1995, when Vladimir Levin hacked into Citibank and transfered $10 million from customer accounts. Not to mention the big TJX credit card theft in 2008. Another notable event was when AT&T was deemed a monopoly, and Ma Bell was split up. It changed the telecommunications market, and saw the right of passage for MCI/Worldcom from this (now a part of Verizon). We cannot forget about Wang Computers – if it wasn’t for them, we wouldn’t have had magnetic core memory. Their bankruptcy of 1992 ended a major PC clone in the business market. This caused several businesses to scramble for a computer company replacement. Ultimately, Wang was bought by Gentronics – a company that operates in the UK. Political madness in Tech failures as the Florida Chad issue might have determined the wrong person as president. The punch machine did not fully punch the card, and the “hanging chad” caused issue for thousands of votes. Another space technology issue was Apollo 13. Of course, noted in the movie, complications from an oxygen tank caused the mission to abort landing on the moon. It was the hard thinking of the astronauts and ground crew that brought the ship back to Earth.